The Carnegie–Tsinghua Center, through its partnership with Tsinghua University, brings together top experts from China and the international community to engage in collaborative dialogue and research in order to identify constructive solutions to today’s common global challenges. The Carnegie–Tsinghua Center, through its platform at Tsinghua University and Carnegie’s global network of experts, brings together the world’s top scholars and experts from China, the United States, and the international community for collaborative research with an aim toward identifying effective and constructive solutions to common global challenges and issues of today, including China's foreign relations, international economics and trade; climate change and energy; nonproliferation and arms control; and other global and regional security issues such as North Korea, Afghanistan, Pakistan, and Iran. 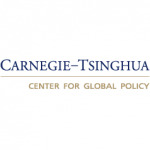 Every August the Carnegie-Tsinghua Center recruits motivated and exceptional interns for their Global Intern Program. and each spring, for the Summer Internship Program.